Opera 10 is the best version yet – but is it too late for it to stand proud with other web browsers? 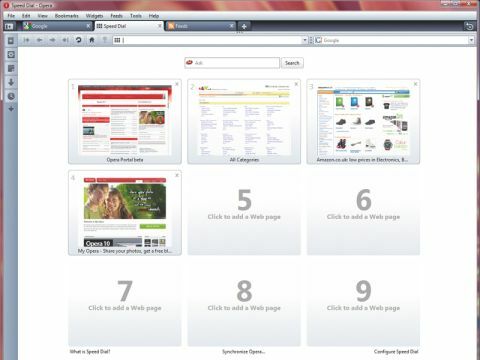 Opera 10 is fast and easy to use, and the ability to expand tabs into previews is handy. There's also integrated email and RSS reading, a download manager and a BitTorrent client, and the impressive 100 per cent Acid test compliance means Opera renders websites well. The interface is different from other Windows apps; you'll either love it or hate it. But for everyday browsing, all four browsers feel equally speedy. You won't save much in resource terms either. On our test PC, Opera needed 22MB of RAM to display a single page, compared to 26MB for Chrome, 26MB for IE and 21MB for Firefox.